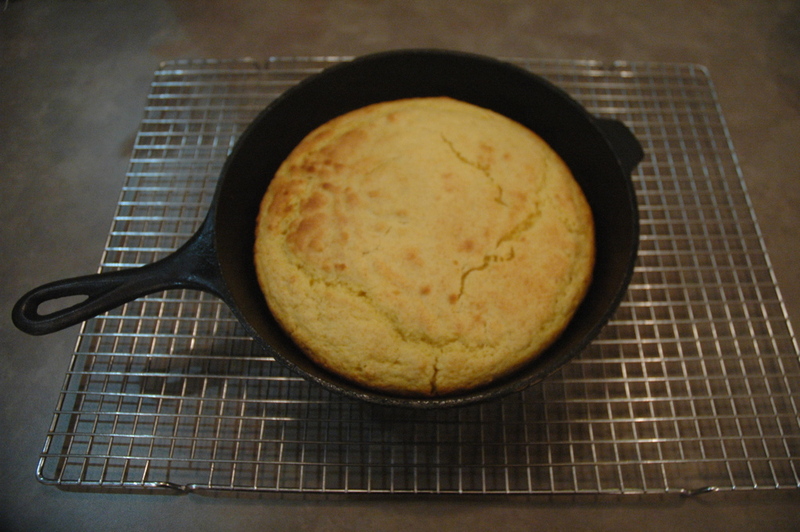 Cornbread in the skillet after baking. Dirk, one of our web programmers, wrote this guest blog post for us and I just had to share it with you! His cornbread recipe by weight is fantastic and we are lucky to get this recipe where we can use our scales for something other than bath and body creations! 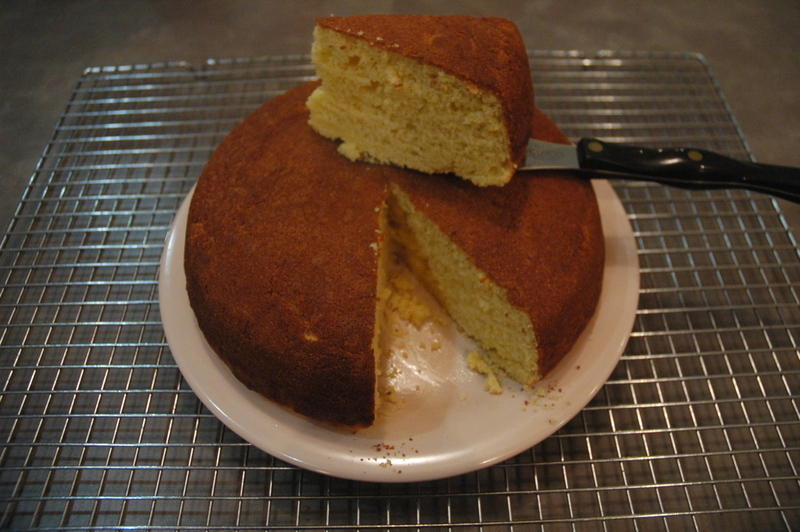 A slice of cornbread. Yummy! I love my daughters, but they drive me crazy. Nothing in the kitchen seems to end up where I think it should be.My wife asked me to bake something over the weekend. I decided to make Cornbread from scratch. As I started working in the kitchen, I couldn’t find the measuring cups that I needed for the recipe. “Honey, where is the 2/3 cup measure? I can’t find it.” Blast! So, my wife says “Why don’t you make it by weight?” Other than it is going to be a pain in the patootie to convert, that is a great idea. After searching the kitchen, the various flour and sugar bins in the pantry and still coming up with nothing, a conversion was in order. I used a 1 cup measure to determine the weight of each major ingredient per fluid ounce. I then made these conversions for each ingredient. Once I did the math, it was time to use my skills. The following is that converted recipe. Preheat oven to 400°F. If using a cast iron skillet, preheat the skillet as well. Combine the sugar, salt, butter and vanilla extract in a mixing bowl until creamy. In a separate bowl combine the flour, cornmeal and baking powder. Add the egg mixture to the dry mixture and stir lightly with a spoon. Add the milk and mix with a spoon until just blended. Pour into heated, greased skillet or 8×8 inch pan. Bake for 20 to 25 minutes or until toothpick comes clean. Turn out of pan or skillet and serve warm. You can see the photos, they are all that is left of the cornbread. Not even a speck large enough to feed a mouse remains.